You can't beat these prices! Right now grab a few of these Hilarious Mom Tees | Free Shipping ONLY $13.99 (Retail $25.99). 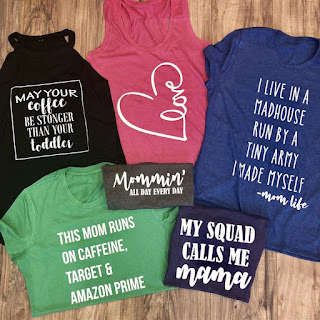 Printed on our best-selling, ultra comfy, flattering, super-soft tanks and tees, these fun Mom tops will become your daily go-to. Available in 2 styles, 6 designs and 8 colors, mix and match to create your own!